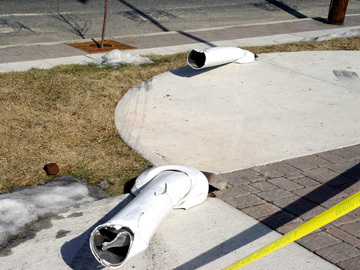 On Saturday morning just after midnight on February 28, 2004, two of the Municipal Complex Flag Poles located at the Library Plaza had been destroyed. A Korean Church van was traveling south on the Boulevard and a car on Madison Avenue were involved in a motor vehicle accident. 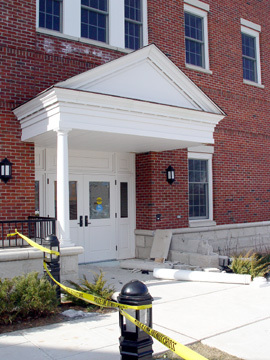 The van went up onto two of the flag poles before crashing into the wall and knocking down a pillar at the Library entrance. 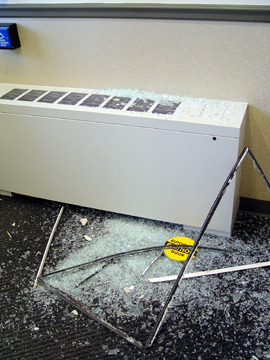 One of the flag poles became dislodged and shot through the entrance door into the foyer's wall near the ceiling. 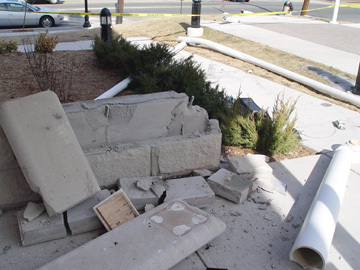 Two adults and one child were transported to the hospital. 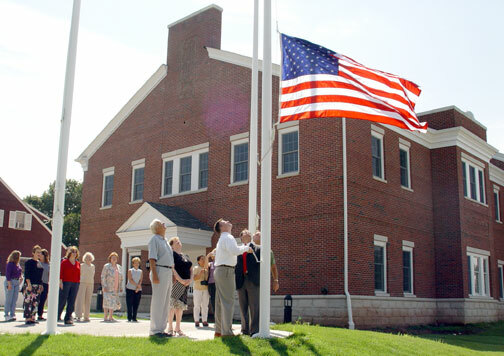 The official "Raising of the Flag" occurred on September 12, 2003 [Photos]. 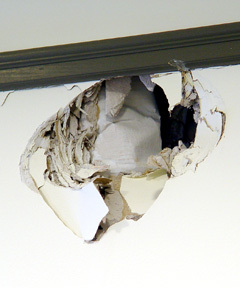 Hole in wall above heating unit.